Thank you for visiting Kazumi Dojo's website. On behalf of Master Kazumi, a secretariat would like to thank you for your visit. E-mails will be forwarded to the responsible Dojo of secretariat for appropriate handling. To send questions, concerns, or well-wishes to the Maseter Kazumi or secretariat, please use the form below. 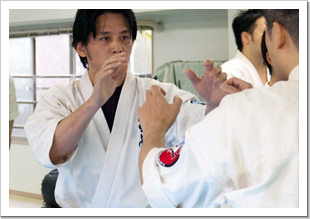 Kazumi Dojo is teaching Karate Do in Japan. Thank you for coming to the website. © 2019 Kazumi Dojo All Rights Reserved.